Hurricane Preparedness – Hurricane Season lasts from June 1 till November 30. 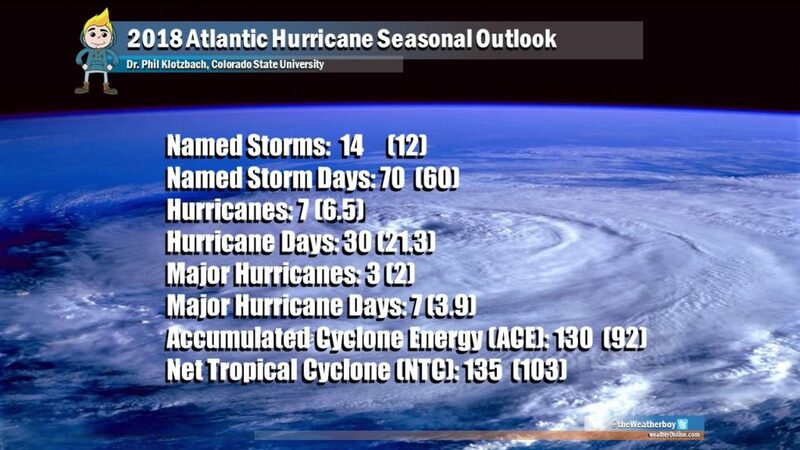 Hurricane Season 2018 starts today, June 1st, as per the National Hurricane Centerand we’ve already had a named storm. Hurricane preparedness plans for businesses in 2018 should be executed immediately! We’ve put together a list of contact information you’ll need for a hurricane preparedness plan. 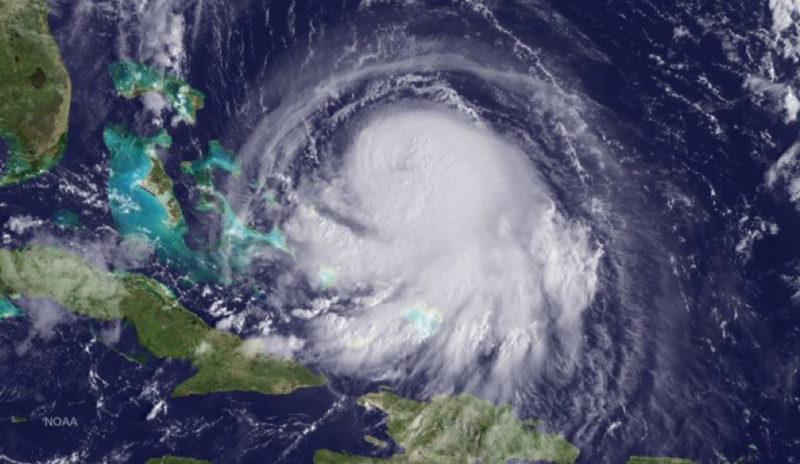 This list can serve as a checklist for your business’s hurricane preparedness plan. 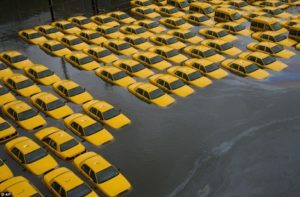 If you’re not sure if your business is prepared we have some things you need to consider today. For example, where is your office located and what type of events will make it inaccessible? Is it on high ground or near a body of water? Does the area have good cell phone service and access to medical facilities? Basic, common sense situational awareness will allow you to look at what you have going on and know how to improve it or plan for a breach. Communicating with customers and employees – You’ll want to have the contact info for your phone system vendor if you have an on premise PBX. If you’re using a Hosted Unified Communicationssolution you’ll want your carrier’s contact info with you. In addition, you’ll want to keep your billing telephone and account numbers handy. One thing to keep in mind is your particular system’s forwarding works and how to route calls in an emergency. Connectivity– Keeping your office connected to your other offices, systems, customers, and employees will depend upon the quality of your connectivity. We always recommend diverse carriers, paths, routes, and core switching. Don’t rely on diverse carriers alone, it doesn’t guarantee diversity. You’ll need to make sure your website and other customer facing items stay functional. Phones, again, are a big part of letting the world know you’re still there and taking care of business. Power – Nothing else happens without electricity. If you can have a generator, it’s a great help but remember to keep it on high ground. Generators should be tested regularly and kept above a flood line. 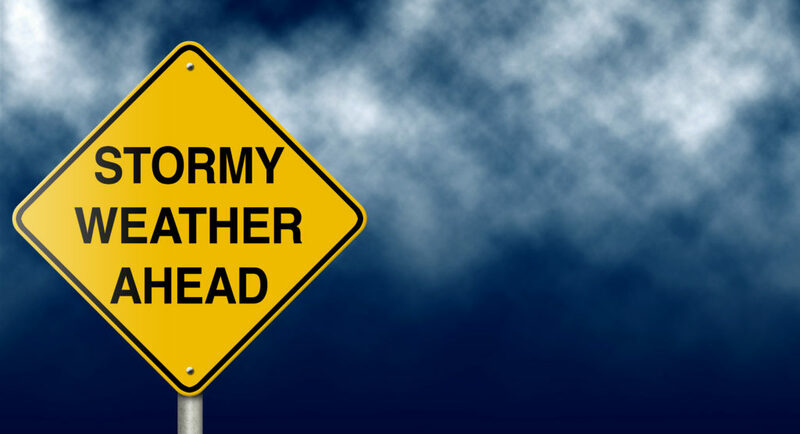 We just had two “100 year” storm events in 10 days in western NC so as we officially enter hurricane season 2018, the hurricane preparedness plan for your business should include fuel delivery and on site reserves to keep your generator running. Employing alternative energy and large UPS systems will prove less cost effective while standard UPS and surge protection is recommended on all outlets. Systems– Taking advantage of the cloud and data centers to make your mission essential systems available is easier than. 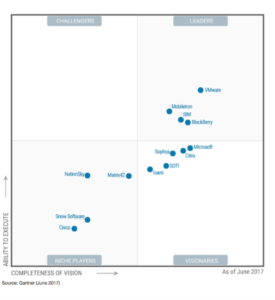 Applications like RingCentral, Zoho, Microsoft’s Office365, and AWS are globally redundant platforms, available on the cheap, that will keep your company open for business. As long as you can get an internet connection, you can log in. Backing up systems and data is essential as is testing those backups. Our partners’ DRaaS Solutions provide high availability appliances twinned to the cloud with prebuilt sandbox environments to test, as well as, globally redundant Virtual Desktop environments to ensure access to your company’s systems, without fail, throughout the whole 2018 hurricane season. Unprepared for the hurricane’s wrath. Physicals – Water is always an issue during hurricane season. Worry for wind is warranted as well. Flooding can make your office inaccessible. If you’re in an office building you’ll want your facilities folks to make sure the landlord has pumps to remove any water flow. All electronic equipment, or the iron as we IT folks call it, should be away from areas where water can gather like a basement. Access controls and cameras should remain functional but you’ll want to have a discussion around whether you want your doors to automatically lock or unlock in the event of failure. 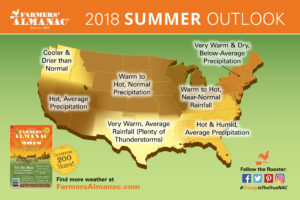 All in all, hurricane season 2018 is here and though that’s good for our business, we can’t help everyone. Hopefully, our experiences and this series of posts will help you company to remain operational through hurricanes or any other related weather event and natural disaster. If you do want some help and you’re in IT, facilities, finance, or operations please feel free to reach out but don’t wait too long. We can’t take on every client but the ones we do get to work with have the benefit of some great stories from our experiences getting businesses ready and recovered from natural disasters. 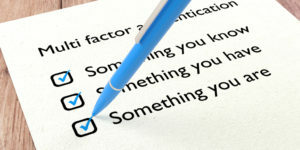 Multi-factor authentication is all about what you know, have, and are. I’ll explain more shortly but for now, let’s start with your user name and password, both of which are things you know. What happens if someone knows what you know? Authentication itself is a complex issue. What happens if you forget what you know? When you forget your password you request a new one but the generation of that new password and the requested access creates a backdoor. For hardware like routers and firewalls, there is usually an admin password set by the factory that should be changed. Hardware comes with the ability to get access via something you have, physical access to the equipment. If that hardware had a biometric fingerprint scanner it would also incorporate something you are. Phone systems typically have multifactor authentication in that they use a username, password, and a one-time token sent via text or email. 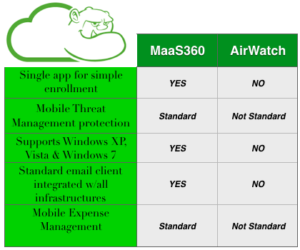 A few years back I recall a client asking for multifactor authentication for a UCaaS system and the options were very limited. Are you sick of getting robocalls? Today toll fraud is on the rise, Robocalls are calling every phone I have non-stop to sell or scam me in multiple languages, and cloud phone providers are merging so quickly that security is becoming more and more of a concern. Admin permissions changing hands at the carrier level are certainly a cause for concern. We’ve experienced widespread carrier outages whose RFO doesn’t make sense leaving us as SMEs to wonder what’s going on behind the curtain. Phone systems should incorporate biometrics to further ensure security of the end users. It seems simpler and more effective than ‘something you have’ like having to use an access card to use the phone. Users don’t necessarily want to trade ease of use for security. How hard would it be to adopt a habit of verifying your credentials prior to using the phone? We’ve easily adopted to doing so with our cellphones but would we with our social media? How about our desk phone at work? It truly depends on the organization but recent grads seem to be more likely to adopt new habits technologically. Spoofing of numbers is the factor that allows RoboCalls to continue. 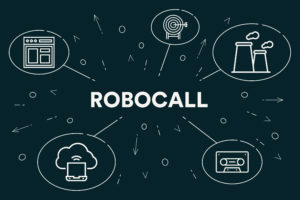 Amit Pai and the FCC are working on a framework to end Robocalls using a new SHAKEN framework. We can stop it by policing voice traffic at the carrier level and adding an element of authentication but that’s unlikely. Another way to patrol this traffic at the carrier level is to block systems that are making multiple calls per second which would anger call centers and that’s also unlikely. So, since you can’t stop spoofing, preventing toll fraud is your next best option. You can do that by using multifactor authentication. Although, there are very limited options for handsets that incorporate biometrics I suspect that that won’t be the case in the near future. Just as multifactor authentication was adopted so will biometrics. Question is, will that happen before cell phones increase their functionality and render deskphones obsolete. If you’re interested in learning more about phone systems with biometric fingerprint scanners, contact us here. 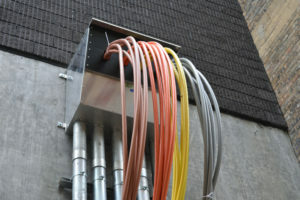 Fiber optic construction in cities can be especially challenging. As a native New Yorker, I’m used to seeing construction taking place everywhere. Streets are constantly trenched, repaired, retrenched and re-repaired to manage the inner workings of the city. Verizon or Empire City Subway is always doing something. My Dad laid a lot of the fiber and copper throughout the five boroughs and I manage the projects to get trucks rolling for the big build outs. Again, fiber optic construction in cities can be tricky. Whether moratorium’s when work is halted, like during the holidays, or changes in codes and permitting there’s a lot to manage. Making matters worse, if you’re worried about stuff like this, you probably have a lot of other stuff going on like moving or purchasing office furniture, equipment, networking gear, personnel, phones, etc. Last year we were in Chicago for the Data Center World conference at the Art Institute where we presented our value add. Although our sponsorship of happy hour was surely a value add, our true value as displayed is to manage complex migrations for large organizations. Whether building a new office, moving your office, migrating your data center, or moving to more of a hybrid architecture, you’re going to want to work with folks that have done this a few times in the past. 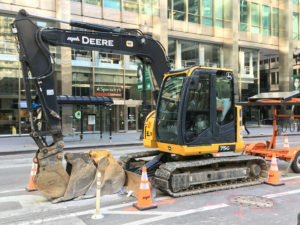 While in Chicago we worked with a few carriers on a fiber optic construction project to build out to our site and extend the fiber into and up one of the larger buildings on LaSalle. Of course, we had diversity coming into the building from diverse carriers with route and pop diversity. Once in the building, working with the union to extend the circuit was a breeze. The union managed everything past the zero manhole making the fiber optic construction a breeze. Chicago, because of its extensive financial markets, has a huge demand for telecom related services to connect to exchanges for trade execution, market data from Bloomberg or Reuters, and basic phones and internet. I can’t tell you how many times I’ve heard a business leader say, “It only takes a couple of days at home for Joe’s Cable Co to move my service”. It’s easy to mistake the complexity of full duplex, dedicated bandwidth for the cable internet you have at home. They’re not the same. The internet we provide is what would power a whole neighborhood, so it takes a little longer to engineer paths for data to hit the POP. Even in a LIT building and no circuit extension needed there’s still work to do and some of it is outside of the carriers hands being forced to rely on the landlord, town, or even organizations like ARINs who supplies your IP addresses. Laying the fiber optic cables themselves is one piece of the puzzle, they still need to be engineered and designed to connect to the WAN. Rural areas present their own set of challenges with the distances between sites a minor problem in comparison to the terrain itself. The right rock will make the wrong blade useless in an instant. Trees, turns, animals, rivers, etc. will also throw a monkey wrench in your plans in a rural area. Reliable power at all of these intersections is also a must. These issues don’t care if you’re using Agile or Waterfall framework because you’re probably not agile enough to get that fiber through that waterfall. We’re certainly looking forward to seeing more companies use solar and line of site to extend networks past their wired capacity and further bridging the urban-rural divide. We’re in the manholes and up on the poles laying fiber both aerially and terrestrially, trenching up the ground to connect companies to the world. Our partners at AT&T, Comcast Business, Altice, Crown Castle, Zayo, CenturyLink, Spectrum, Frontier, Verizon, British Telecom, and many others come to us to coordinate with customers, landlords, property managers, and others that have roles in the install process.